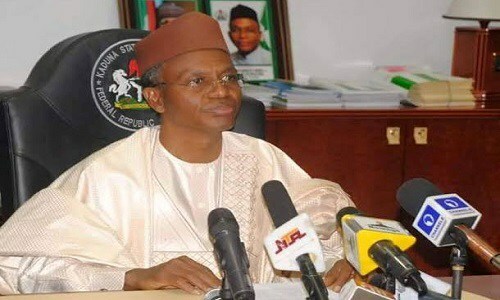 Kaduna State Governor, Nasiru El-Rufai has promised to deliver 90 percent votes cast in the state to President Muhammadu Buhari in the forthcoming general elections. The News Agency of Nigeria reports that the governor made the promise at the launch of the APC 2019 Presidential campaign in the state on Friday in Kaduna. He explained that in 2015, three states of Kaduna, Katsina and Kano all within the Northwest delivered 25% votes to the President, adding “we will this year give 30% votes to him. “In Kaduna in 2015, the President got over a million votes but the masses will give the President 90% votes this year by God’s grace. The 16th of February is my birthday, therefore I urge you all to present me with votes for the President as my birthday gift,” the governor said. El-Rufai further stated that the APC would continue to campaign on issues that will benefit Nigerians only. ”The President is a person of social justice who will give equal opportunities to all, hence the undiluted love shown to him by his lovers. “It took us over an hour from the airport to arrive at this venue because of the crowd flow of people who expressed joy on seeing the President”, he noted. He therefore urged all the electorates to come out enmasse to vote, adding that, with security and necessary stakeholders, the President will record victory in the polls. While presenting his running mate, Dr Hadiza Balarabe, the governor called on all women to support her by encouraging their families to vote for APC in the general elections. The governors of Lagos, Kebbi and Zamfara States in their separate addresses urged party supporters to vote for all APC candidates in the forthcoming election. The governor of Kebbi, Atiku Bagudu mentioned that the President deserves to be reelected as all the 36 states have benefitted from his administration particularly with the bailout funds. ”The people of Northwest region are even expected to go to other regions and campaign for the President especially because they have benefitted more from his administration. We therefore will ensure he succeeds in the polls”, Bagudu stressed. On his part, the Director General, APC Presidential Campaign Council, Rotimi Amechi mentioned that the PDP have a machinery to rig the general elections, and urged APC supporters to protect their votes.